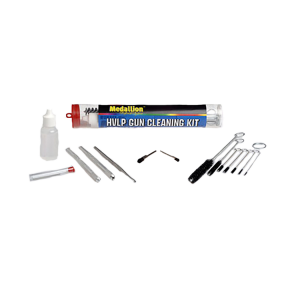 HVLP Spray Gun Cleaning Kit is a professional gun cleaning kit used by spray gun repair centers throughout the USA. Each tool is made from the highest quality material. All the brushes are made of special nylon bristles to hold up against wear and tear and avoid damaging spray guns.